Smart PLC There are 2 products. If you are a Codesys user and would like to get more out of the tool, our service is what you are looking for. 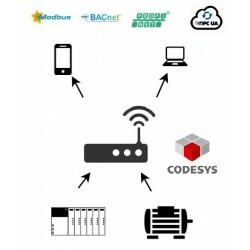 An effective solution to bring data from your industrial equipment to other applications or the cloud.